Currently on 68% discount - just $5.99! Winds of Skilak traces a young couple's adventurous move from the suburbs of Ohio to a remote island on ill-tempered Skilak Lake. As Sam and Bonnie adapt to a life without running water, electricity and telephones, the unforgiving, desolate environment tests their courage early on. Facing sub-freezing temperatures, unfriendly bears, and cabin fever, the Wards find strength in new friends, each other, and the awe-inspiring beauty of ""the last frontier."" Just when they finally settle in, a freak accient proves to be the ultimate test of their resolve. Will they be able to survive in this isolated wilderness filled with unseen dangers? 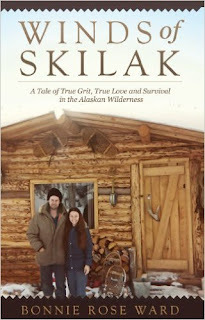 Award winning author Bonnie Ward chronicles an exciting and thought-provoking tale of one couple's faith in God and dedication to each other through all of Alaska's curveballs. Winds of Skilak is a true tale of absorbing force, sure to bring out your own sense of adventure. HONORABLE MENTION of the 2014 Foreword Reviews' Book of the Year Awards. Adventurer & Recreation Category. FINALIST of the 2014 USA Best Book Award Autobiography/Memoir category.